You can't go wrong with the classics - white tee, boyfriend jeans and a good pair of heels - but sometimes you want to mix it up a bit and add something unexpected. This faux leather top adds a twist to an otherwise-basic outfit and gives a different feel to the look. Ok, I think this foil skirt from Whistles might just be perfect. Soft pleats, a metallic finish; this skirt would be perfect for Spring/Summer. Really loving those shoes with it as well...in fact, just give me the whole outfit! Bit of a Zara love-in in today's outfit (seriously that place can do no wrong). The jumper and trousers are separates but I love how the stripes kind of flow in together and balance each other out with alternate colours. What do you think - do you dare double-stripe? A bit of sun and warmth in London last weekend meant it was legs-out weather and the perfect excuse to wear these new sandals from Zara - I love the chunky heel and buckle detail (although they did rip my feet to shreds when I first wore them. I've just about forgiven them). The Topshop x adidas Originals collection dropped today and I couldn't resist a sneak peek at what was on offer at their Oxford Street store. It didn't disappoint; think adidas classics but with bespoke prints to add a twist. 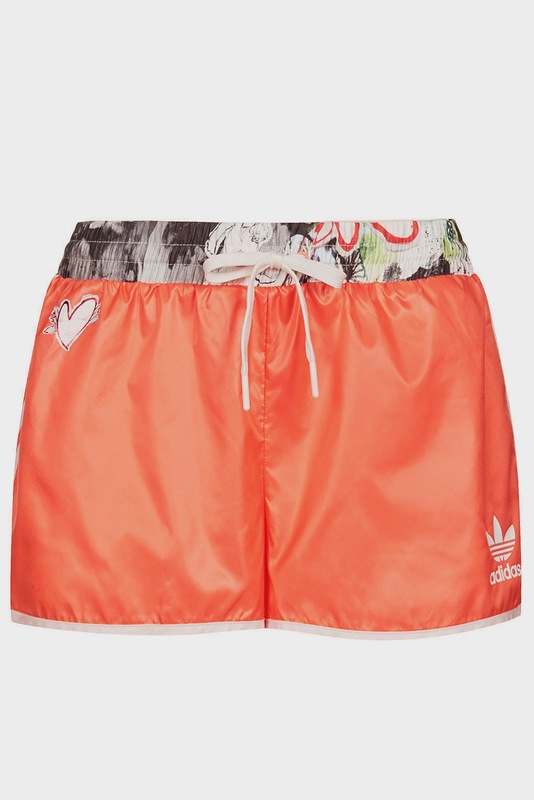 These orange running shorts caught my eye - dressed up or down, they'd be perfect for the sports luxe trend. I wore this little co-ord to death when I was on holiday - it's so cute and was perfect for bopping around town in. I'm a huge fan of a co-ord, and I love that this one shows that little bit of midriff which is quite flattering. I can't wait for summer when I can bring this out again! These trousers are perfect for the warmer weather and I like how the loose-fit, slightly cropped top adds another dimension to the outfit. 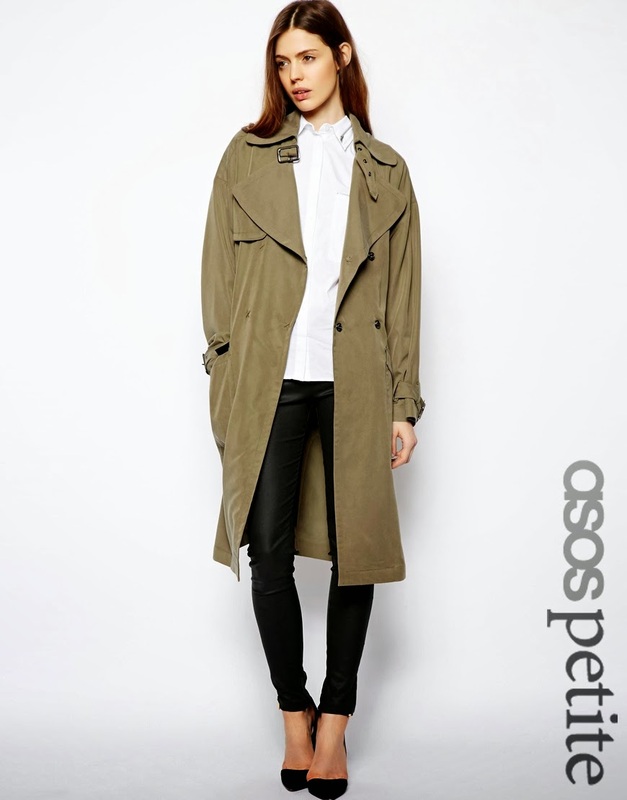 I've seen a few unstructured macs popping up and am thinking of investing in a good one for Spring...this one from ASOS is taking front runner at the moment, with its delicious olive colour and oversized drapey-ness. This week I was kindly featured on Fashionchick under their Blogger Spotlight...take a look at the full piece here for a Q&A with yours truly! Hmm...seems I'm drawn to all things monochrome at the moment! This is one of my outfits from my holiday in South Africa - so nice to go bare-legged in the evening! This night was my sister's 30th (most of the family was out there for her wedding) and we headed out to restaurant Beluga - if you're ever in Cape Town and like sushi and dim sum, you should definitely check it out! I arrived back from my trip to Cape Town this morning and although the sun is shining and London is uncharacteristically warm, I have major post-holiday blues and am wishing I was back by this pool! I had such an amazing time but unfortunately one has to return to 'real life' at some point. I'll put up a few various posts from my trip over the next couple of weeks - hopefully by reliving it all it will relieve my back-to-work pain! 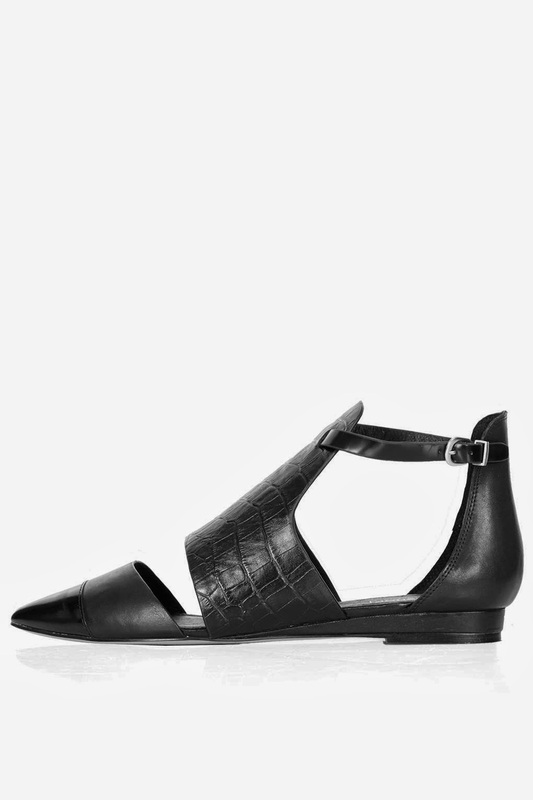 Love, love, love these cut out Topshop shoes. Now it's March, it's officially Spring in my eyes so I'm looking at all footwear that isn't boots in lustful longing. This pair would be perfect with a little dress or rolled up trousers. At the beginning of January I made a bid to eat more healthily and get fit - mainly because I wanted a good beach body for my trip to Cape Town, but also because I generally wanted to lead a healthier lifestyle. That's why, when I was contacted to try out a few products from Quorn*, I was more than happy to take up the offer. Quorn is high in protein and low in saturated fat - perfect if you want to have a healthier diet. 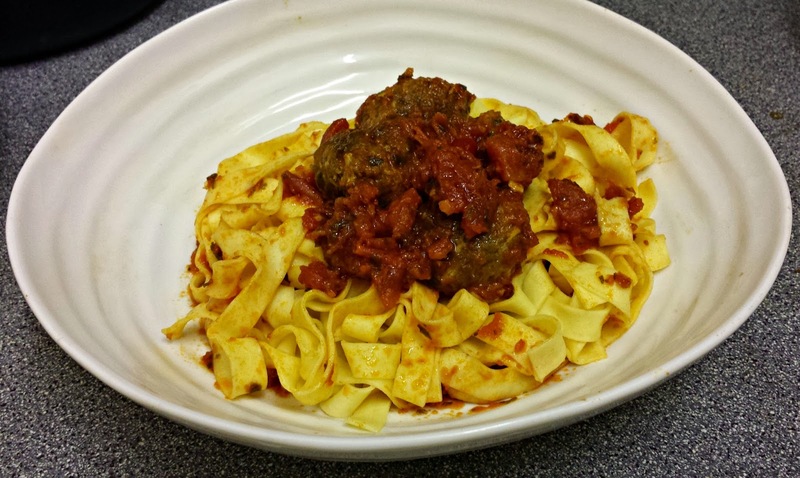 My favourite product was the meat free Swedish style 'meat'balls (pictured below) - they taste just like the real thing and I knocked up this meal in 20 minutes. Just fry the balls straight from frozen for 5 minutes, simmer in tomato sauce for 10 minutes, and add to fresh tagliatelle. Have you tried any Quorn products? What did you think? The final look for my ASOS Fashion Finder style challenge is something I'd wear for a night of dinner and drinks - a simple and classic outfit that you can't really go wrong with.